Water from the waves overcomes the shore and settles in small pools. 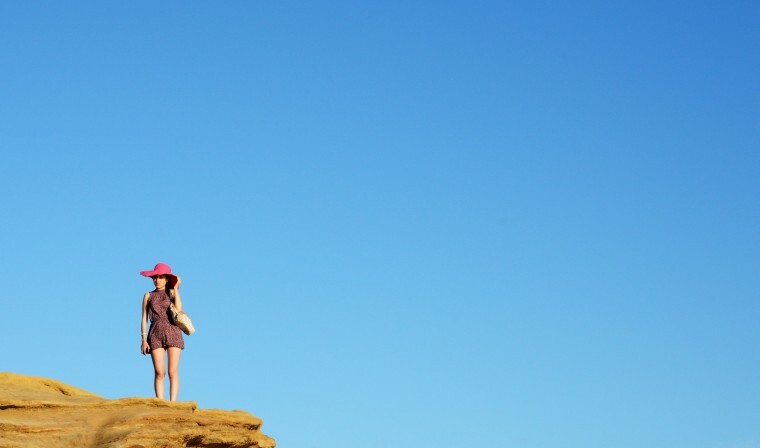 A woman holds onto her hat standing on the edge of a cliff at Sunset Cliffs. A young couple kisses on the rocks by the water of the Pacific Ocean at Sunset Cliffs in San Diego, Saturday, Aug. 23. 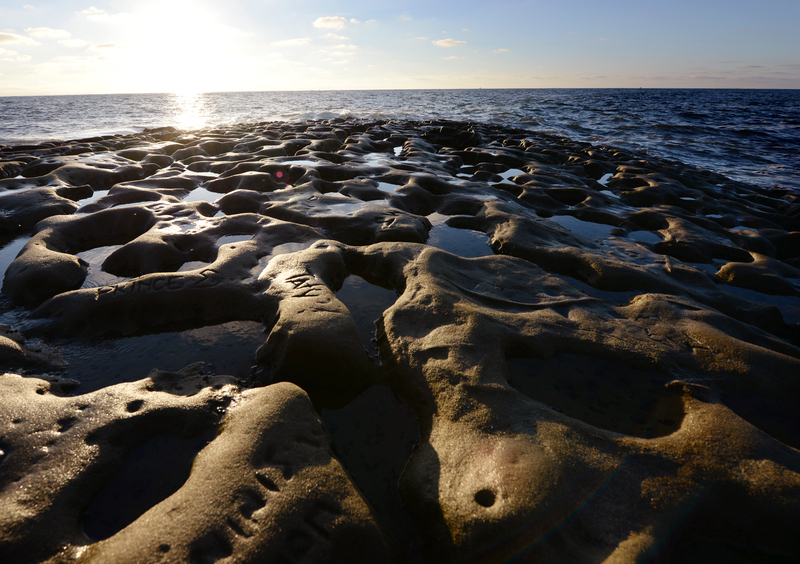 A cross-section close up of the rocks at Sunset Cliffs. A man stands on the edge, enjoying a wave crashing over him as the sun sets. 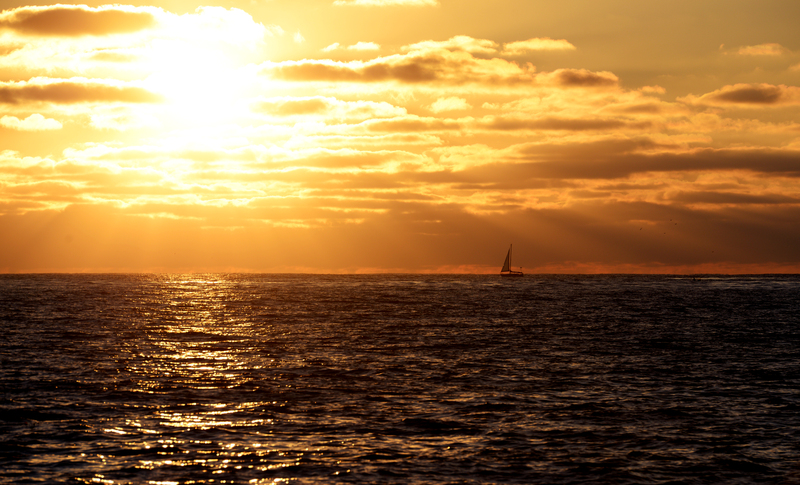 A boat goes by as the sun sets. 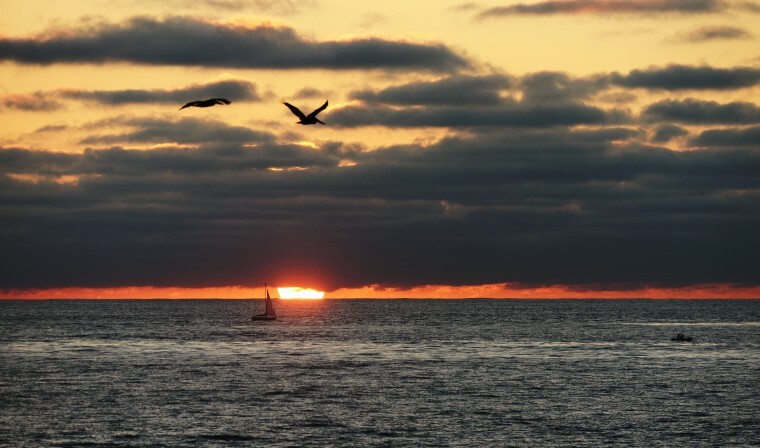 After descending below the clouds, the sun appears again, bright red at Sunset Cliffs in San Diego. Flamigos at the San Diego Zoo. 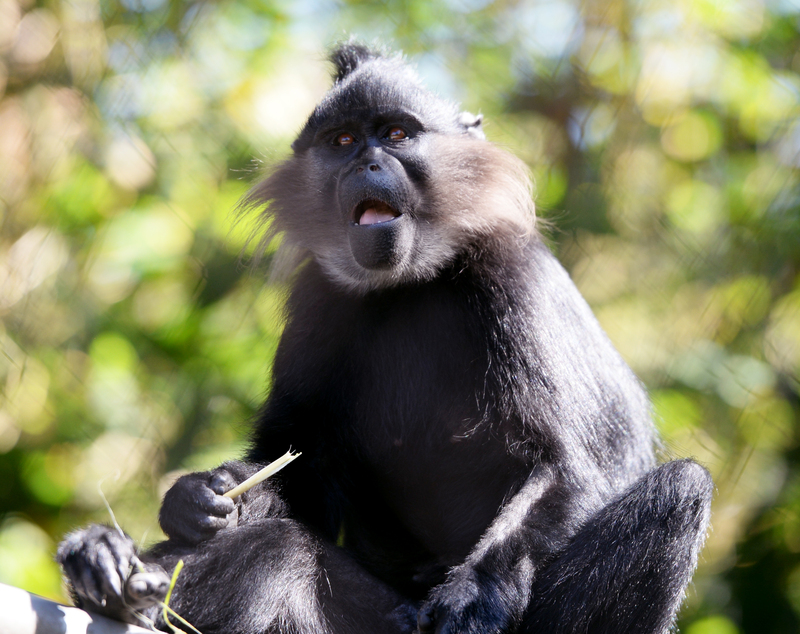 A monkey chews on a snack at the San Deigo Zoo. 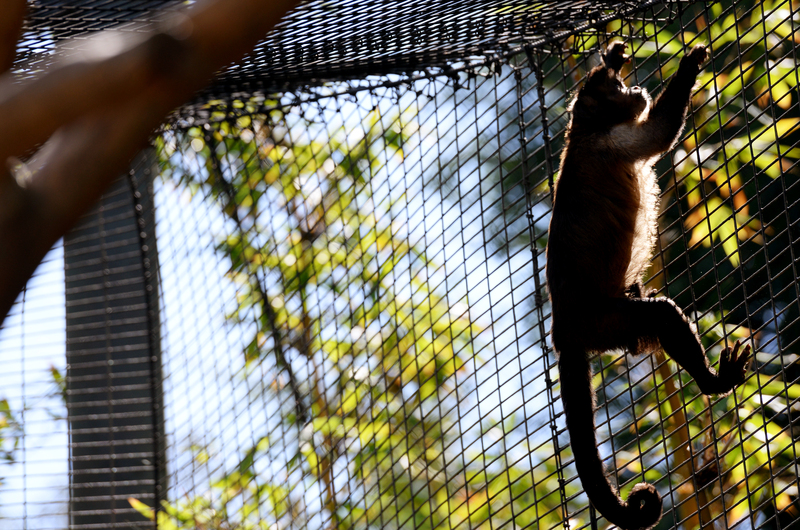 A capuchin monkey climbs in its large, netted habitat at the San Diego Zoo. 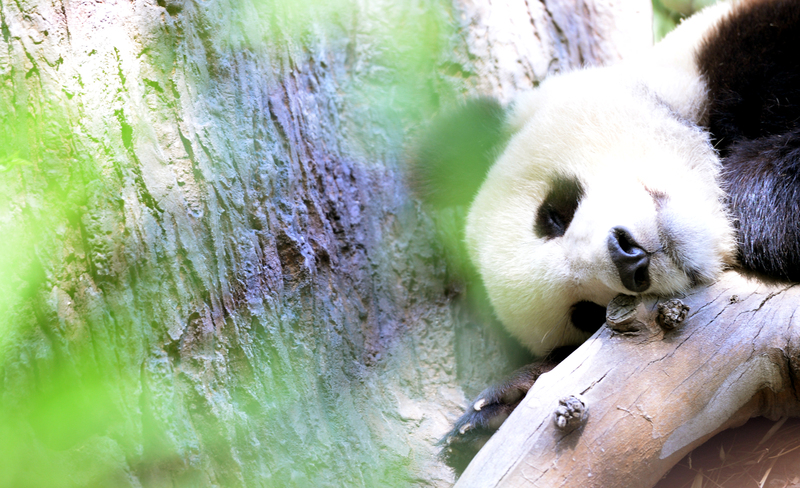 The San Diego Zoo’s baby panda takes a little nap on a hot day, Sunday, Aug. 24. 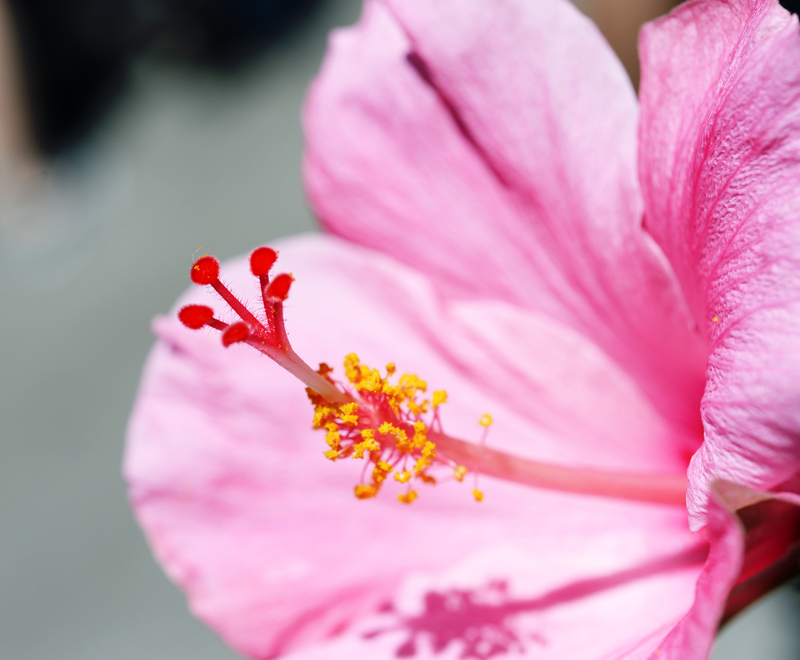 A pink hibiscus flower at the San Diego Zoo. 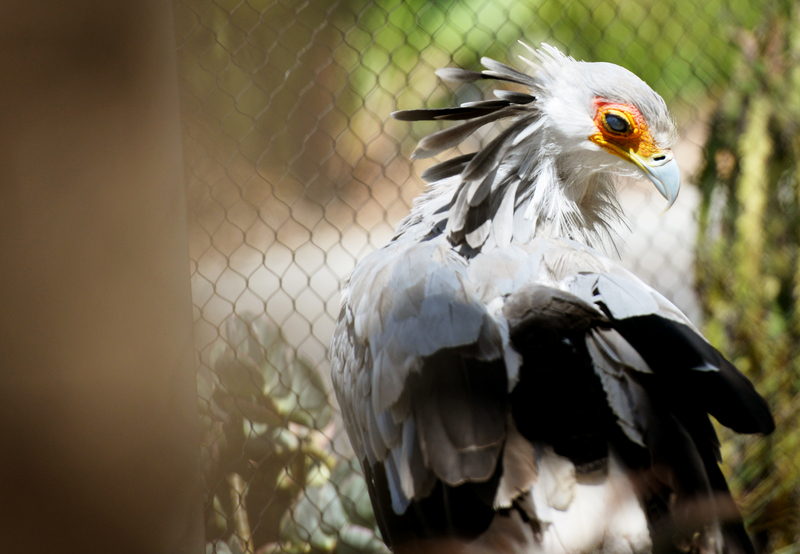 A large Secretarybird, considered vulnerable on the endangered scale, cleans itself at the San Diego Zoo. 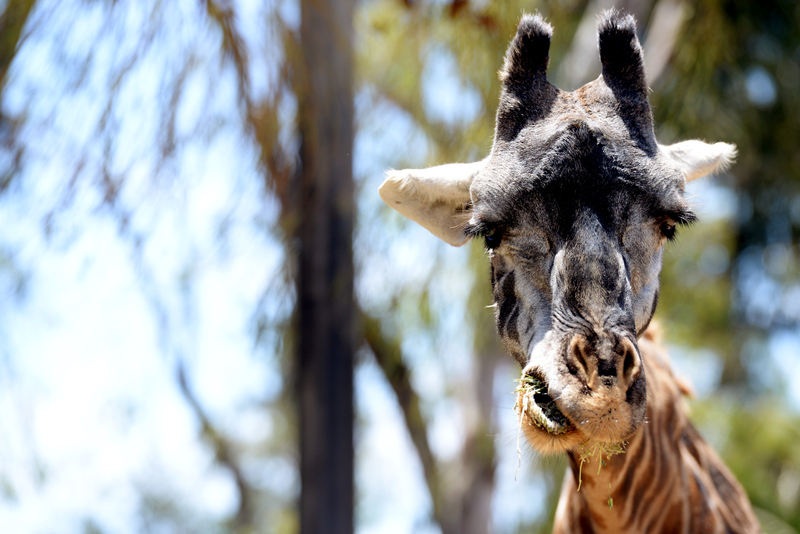 An adult giraffe chews on some food. 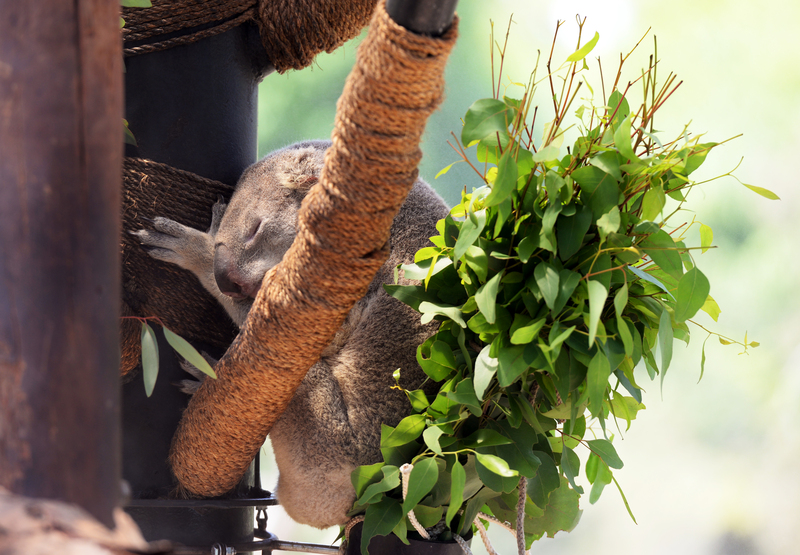 A koala bear takes a nap in the branch of a tree at the San Diego Zoo. 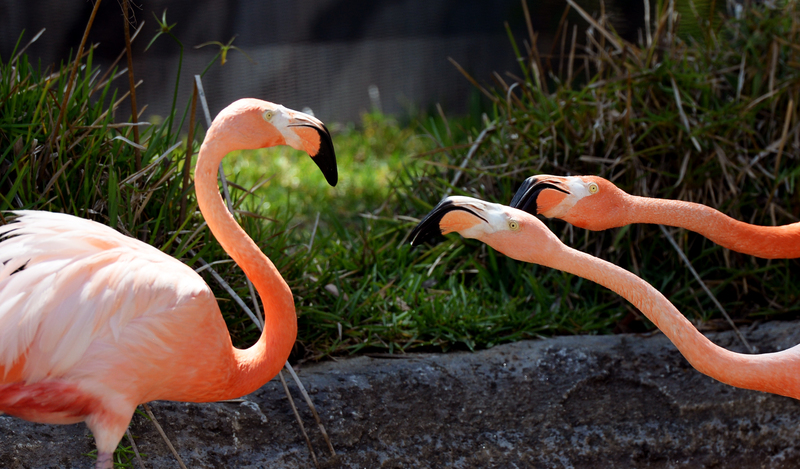 Three flamingos fight each other at the San Diego Zoo. The city of San Diego is seen here from across the harbor in Coronado, which is a tied island. 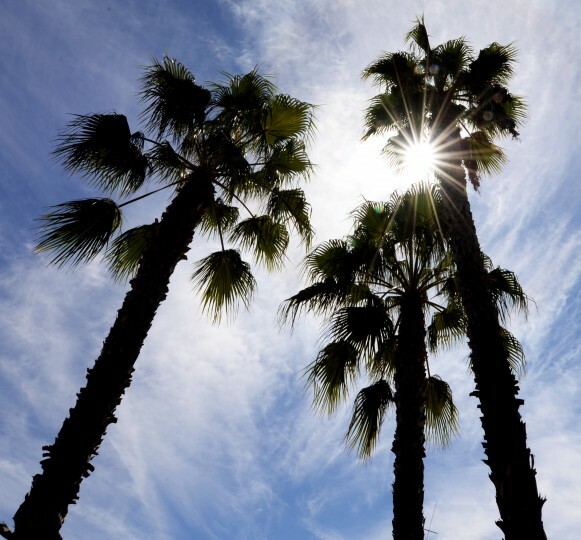 The sun shines through some palm trees on Coronado. 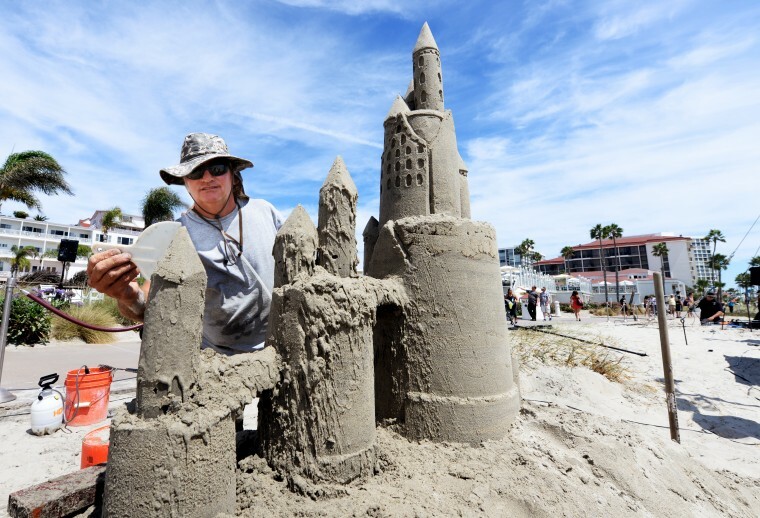 A sculptor creates a sand castle on the beach property in front of the Hotel del Coronado. 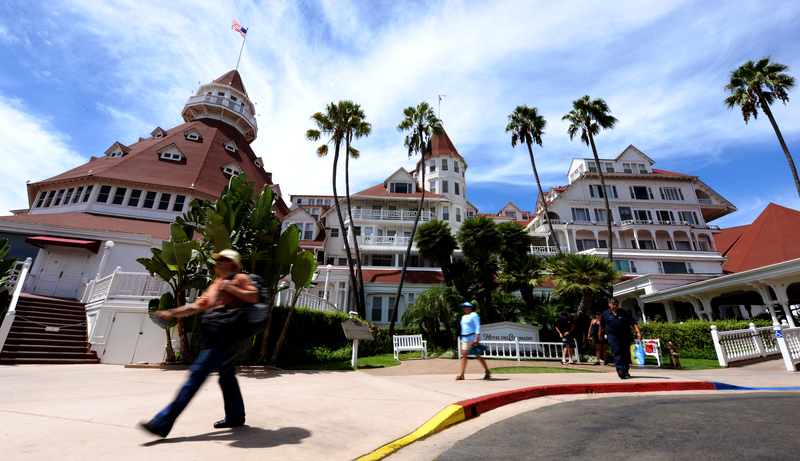 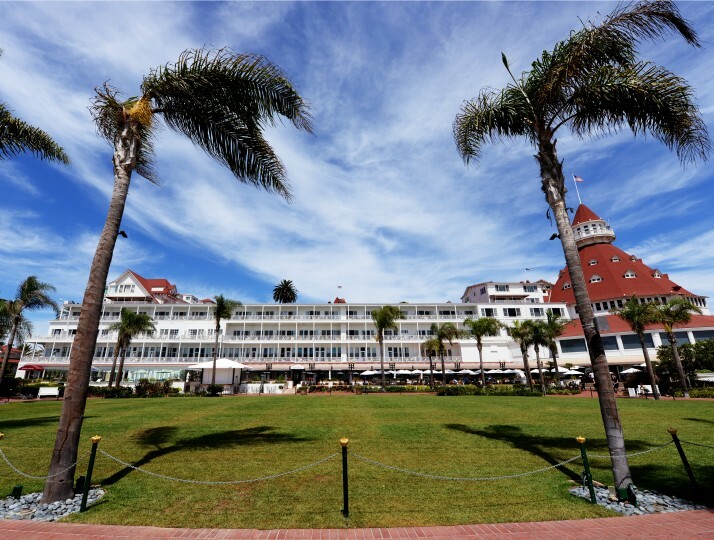 The rear side of the Hotel del Coronado. 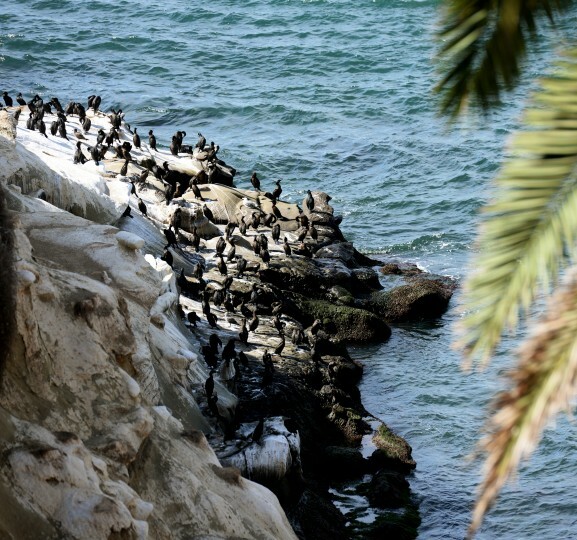 Hundred of birds rest on the side of the water on La Jolla, which is a stretch of land northwest of San Diego. 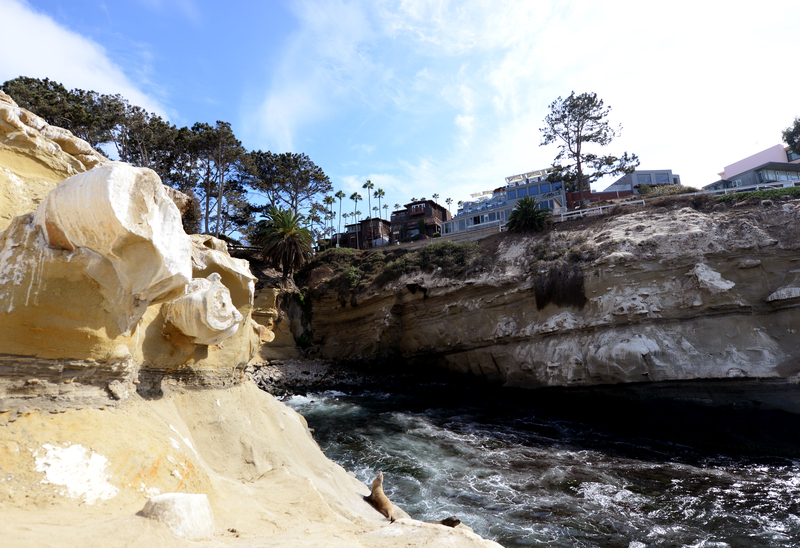 A wide shot shows a cliff on La Jolla where sea lions and birds come to soak in the sun. 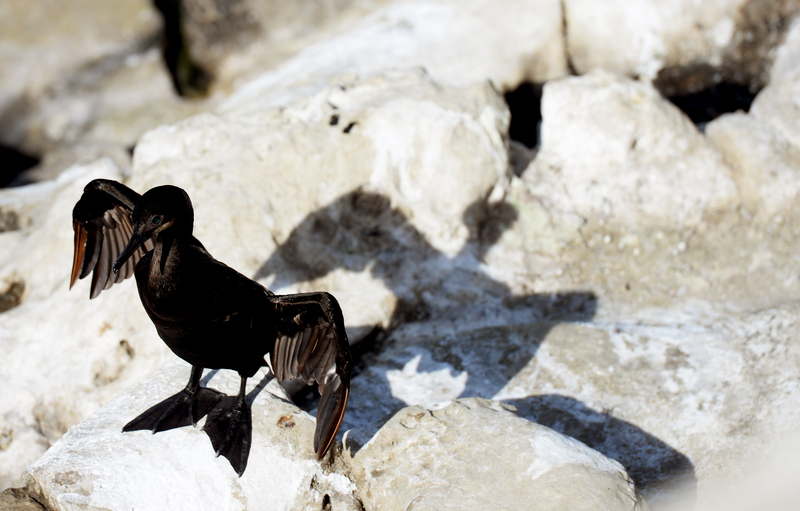 A cormorant bird spreads its wings on a rock at La Jolla, which they typically do for drying off. 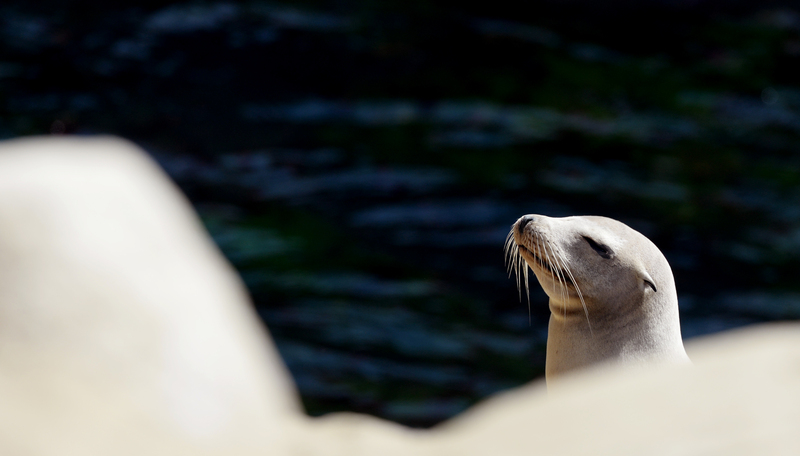 A sea lion takes in the sun on La Jolla. Also popular on the shores at La Jolla are colonies of sea lions, which congregated along the shores to rest in the sun, Sunday, Aug. 24. 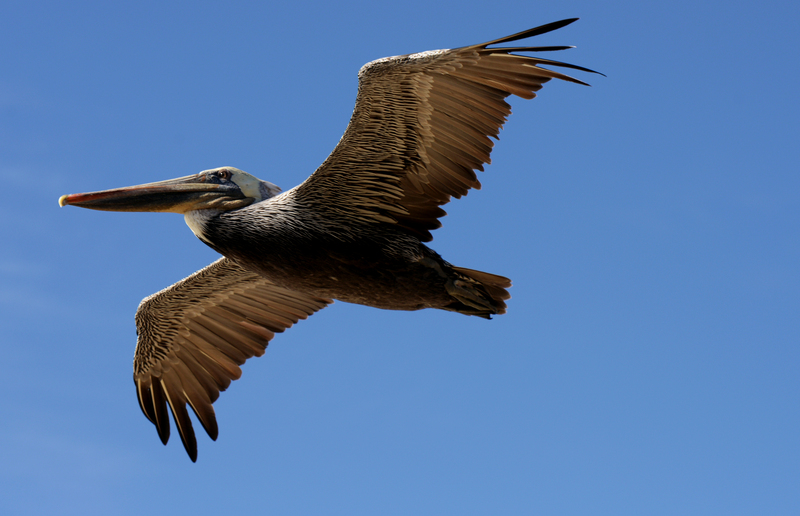 A pelican flies by over the beach at La Jolla. 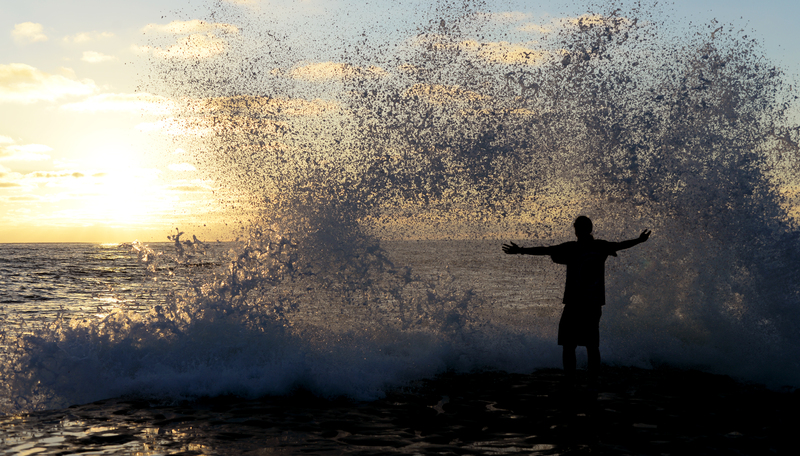 The waves crash on the shore at Laguna Beach, Tuesday, Aug. 26. 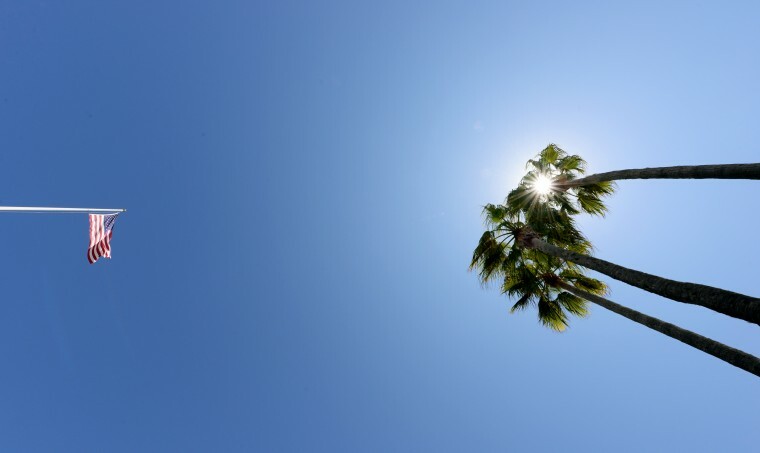 While stopping at Laguna Beach, about an hour north of San Diego, I noticed looking straight up, these trees and the American flag were positioned as such. 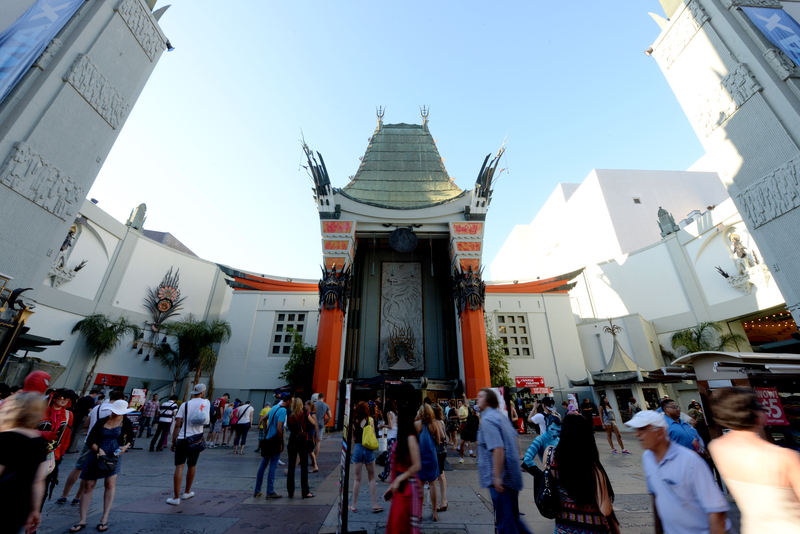 The TCL Chinese Theatre in Hollywood is bustling with tourists and street performers wearing movie costumes on Tuesday afternoon, Aug. 26. 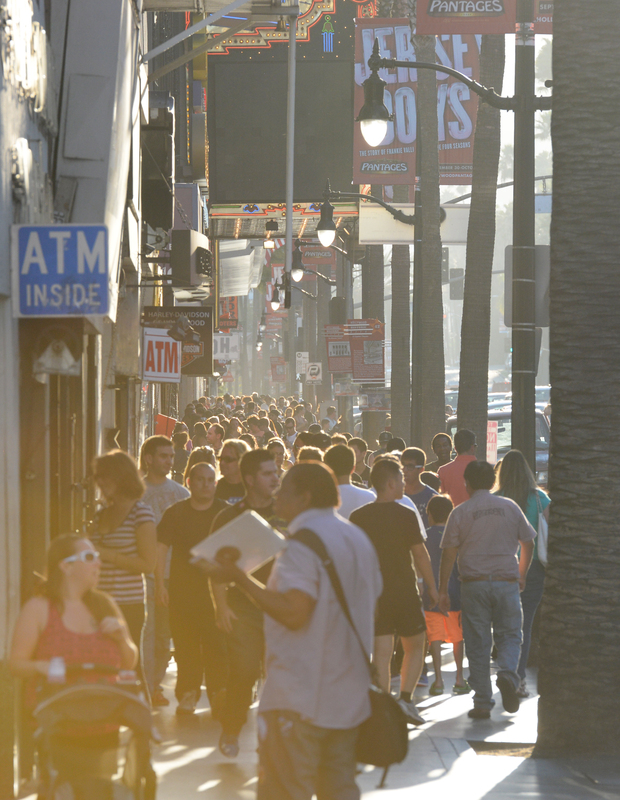 As the sun sets over Hollywood Boulevard, thousands of people crowd the sidewalks and visit the various tourist attractions and gift shops. 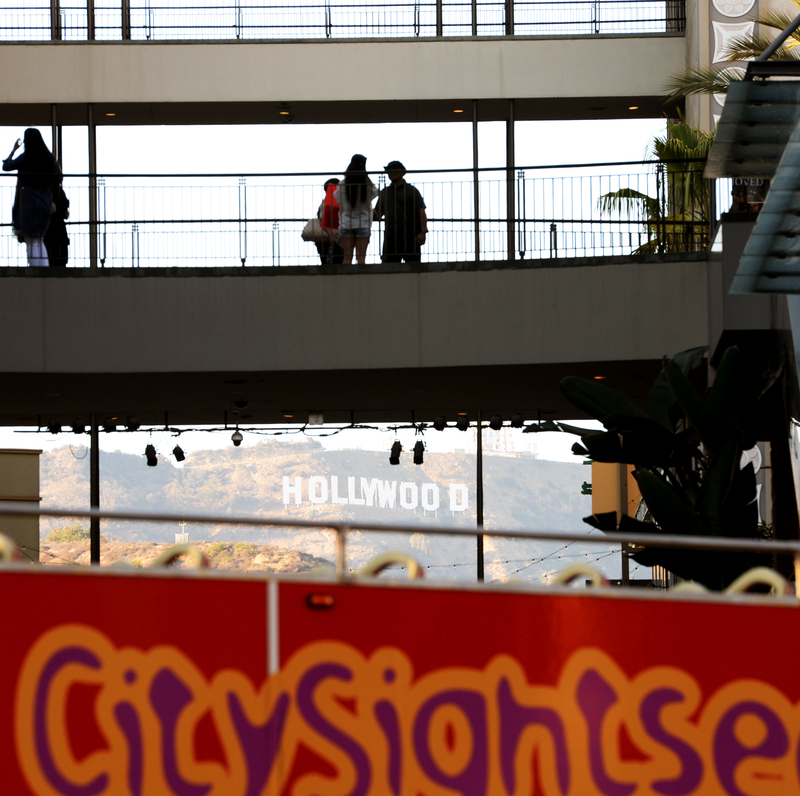 The famed Hollywood sign can be seen through some buildings from Hollywood Boulevard. 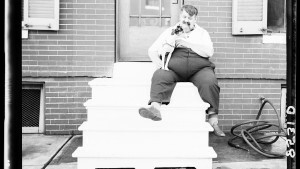 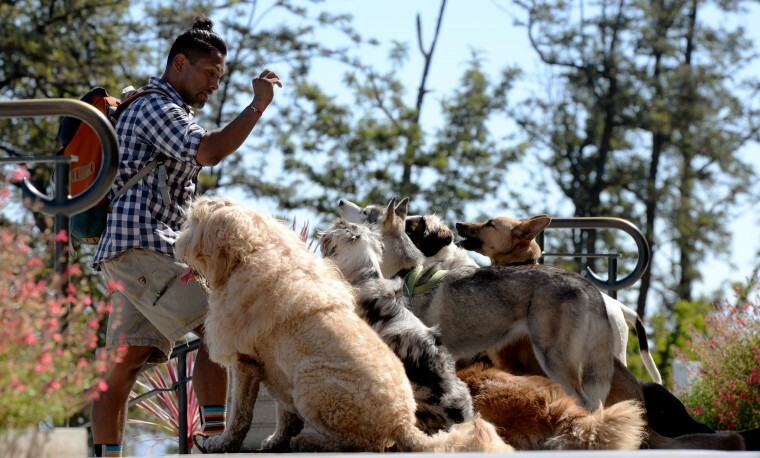 On the steps of the Griffith Observatory, a man trains a small pack of dogs. 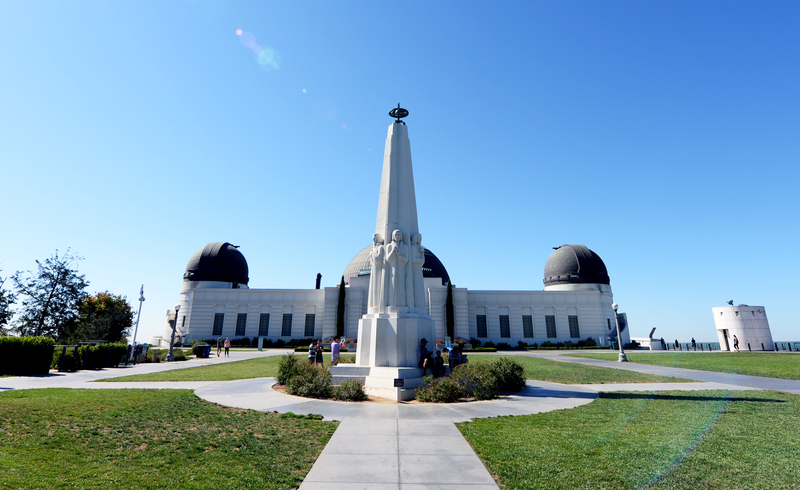 The city of Los Angeles can be seen from the Griffith Observatory, and even though there were no clouds in the sky, the smog made it appear otherwise. 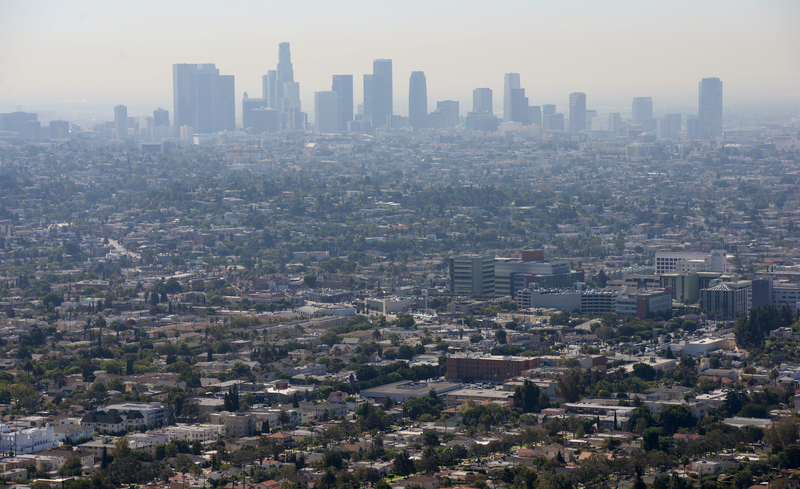 A wider shot of all of Los Angeles taken from the Griffith Observatory. 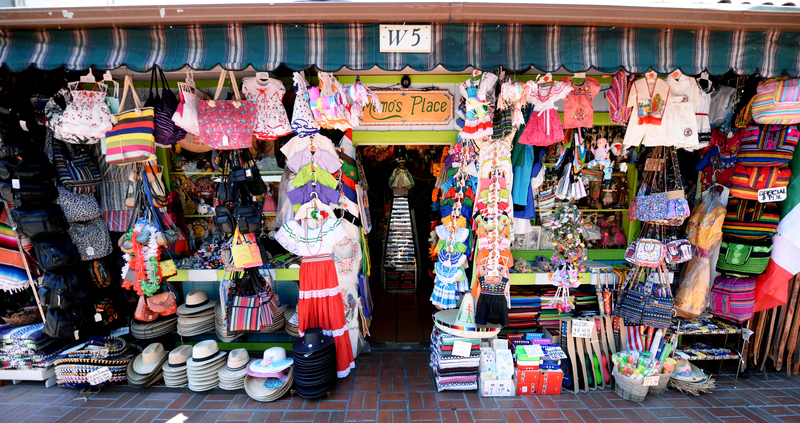 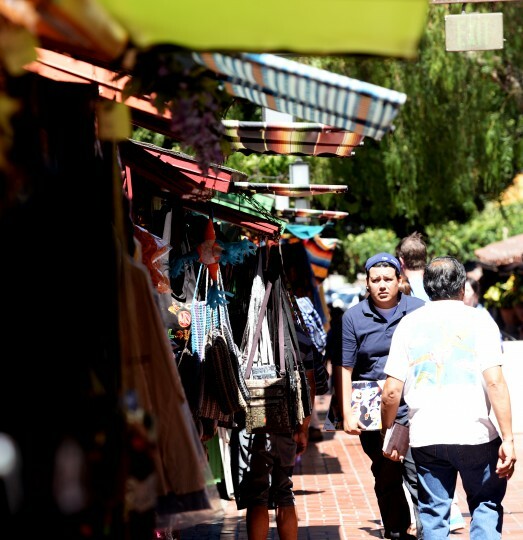 Olvera Street is the oldest neighborhood in Los Angeles, and it reminded me of the small towns set up for tourists in Playa del Carmen, Cancun. 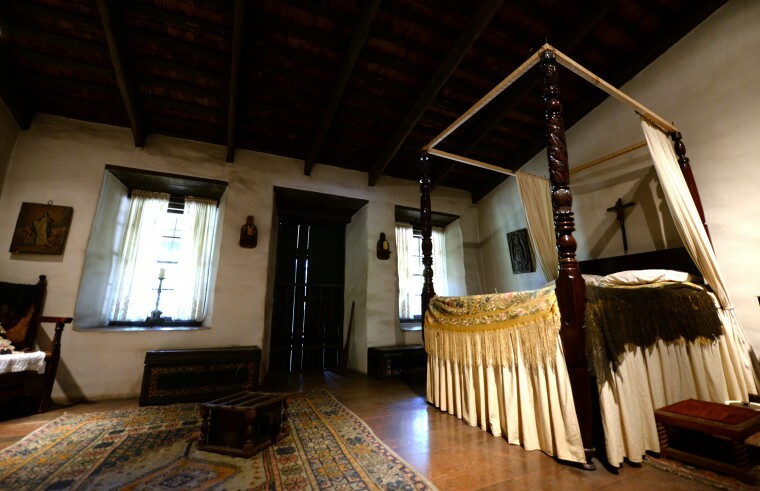 The Avila Adobe is the oldest standing residence in Los Angeles, built in 1818. 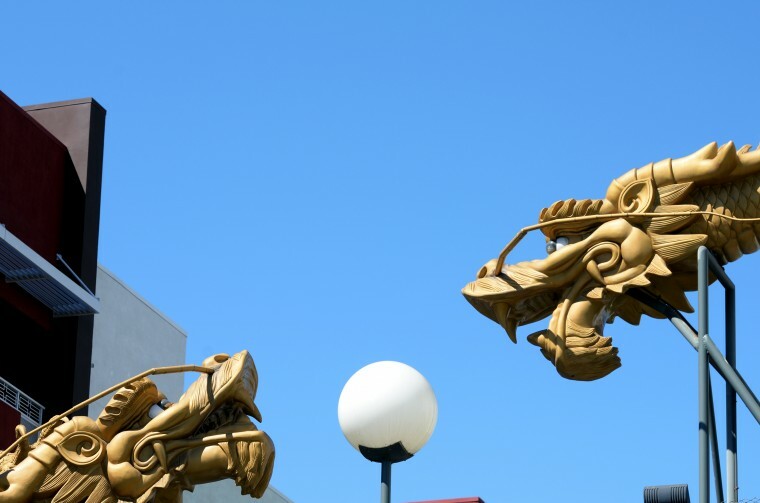 Chinatown in Los Angeles was quiet on Tuesday, Aug. 26, but had some interesting architecture. 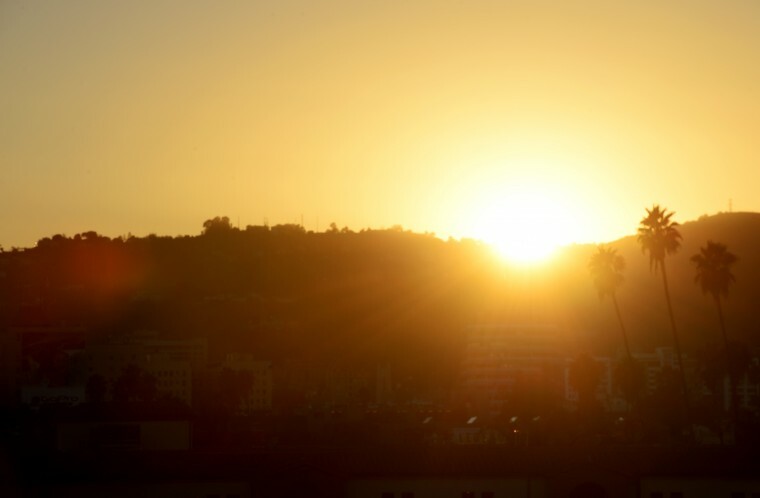 The apartment in West Hollywood allowed rooftop access, where this sunset was seen, Tuesday, Aug. 26. 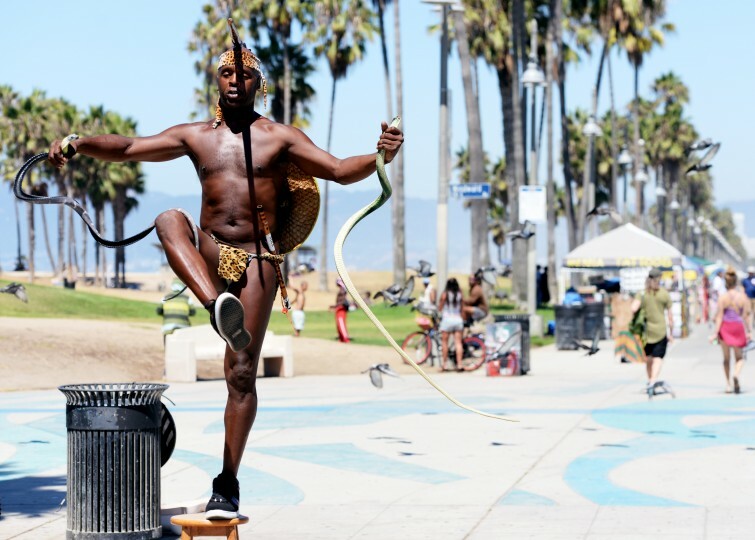 A street performer with two rubber snakes balances on a stool at the Venice Beach Boardwalk. 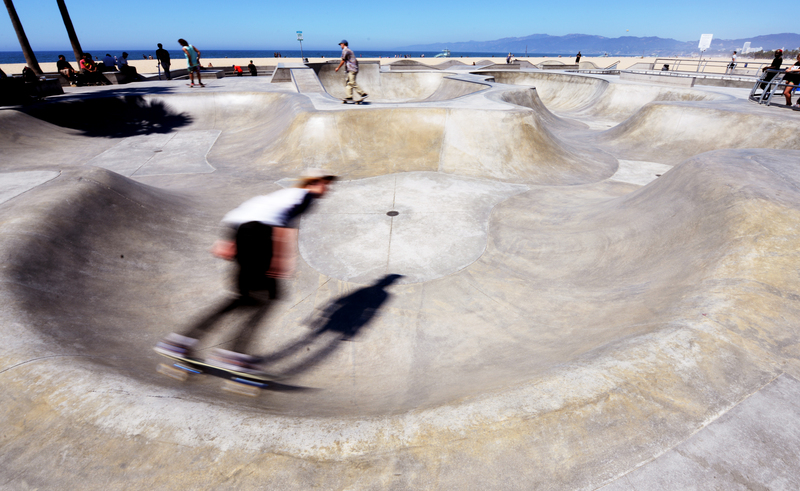 When I came up upon the skateboarders at Venice Beach, I couldn’t leave until I’d taken several hundred action shots. 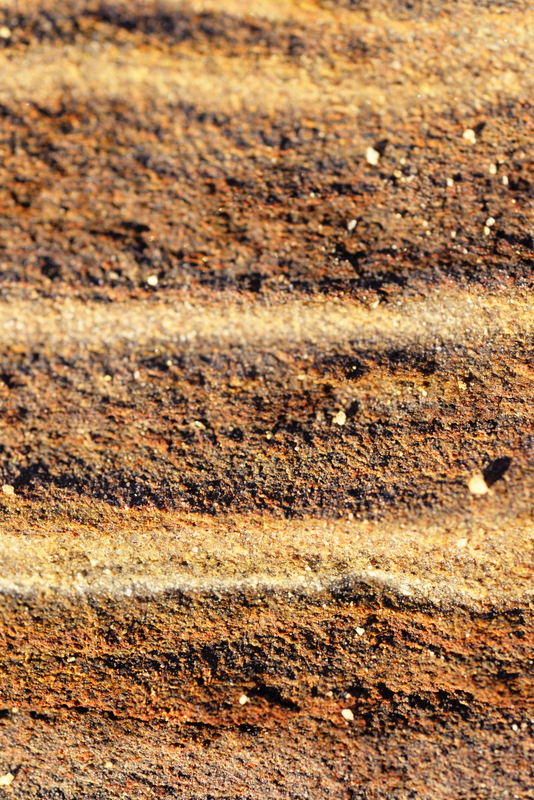 This one was a long exposure of a skateboarding moving around a bend. I caught this skateboarder as the shadow of a bird appears behind him, with nearly the same angle of wingspan to his arms. 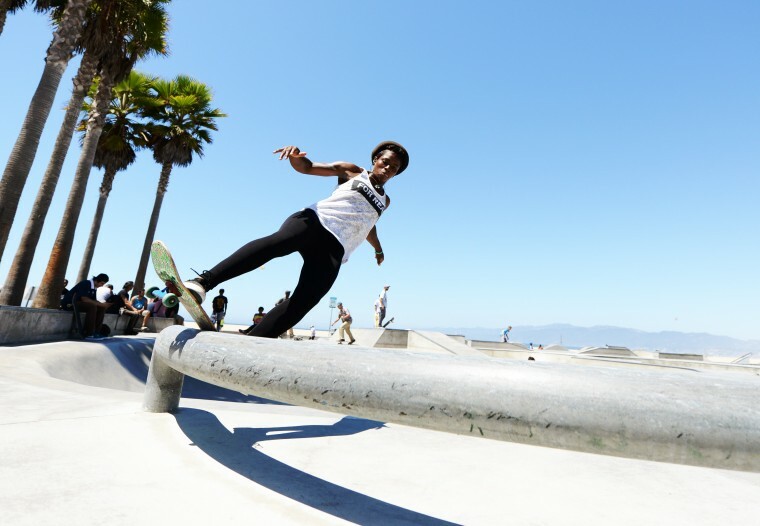 This skateboarder, who I later learned is named Rachel Jael, attempted to grind this pipe over and over until she landed it. 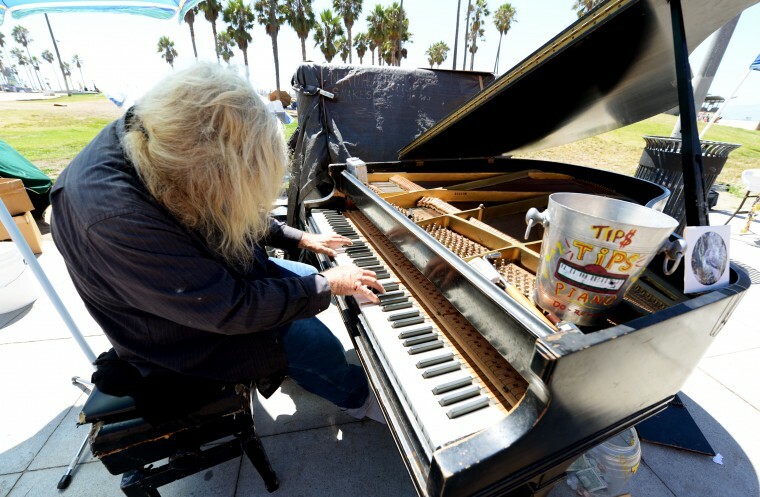 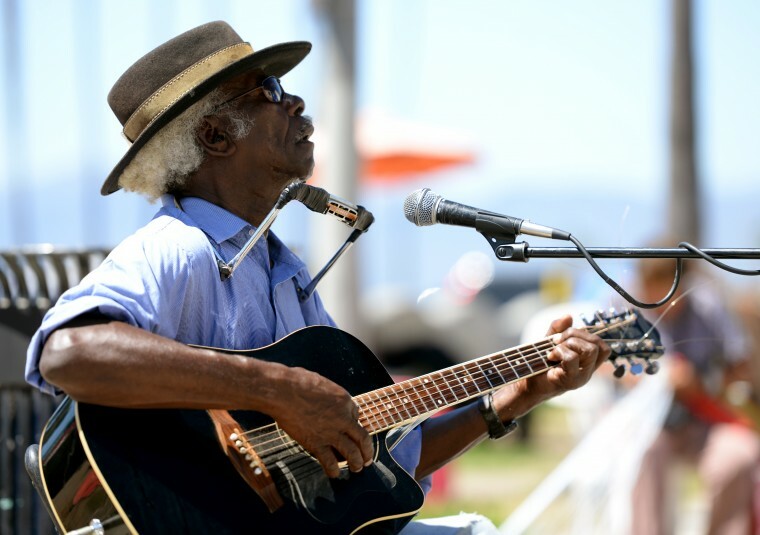 There are countless musicians and street performers on the Venice Beach Boardwalk. 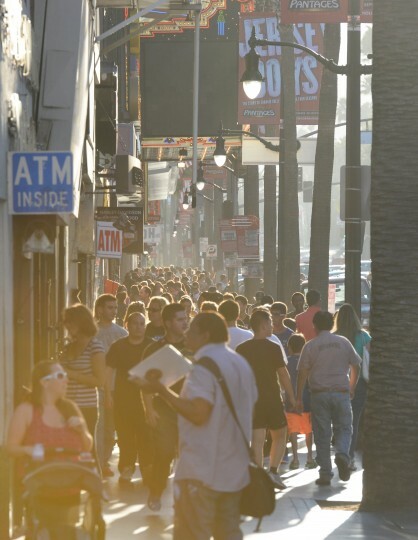 Most of them will get angry if you take a photo and don’t drop anything in the tip jar, so I gave them each a dollar. Another street performer jams out with guitar and harmonica on the Venice Beach Boardwalk, Thursday, Aug. 28. 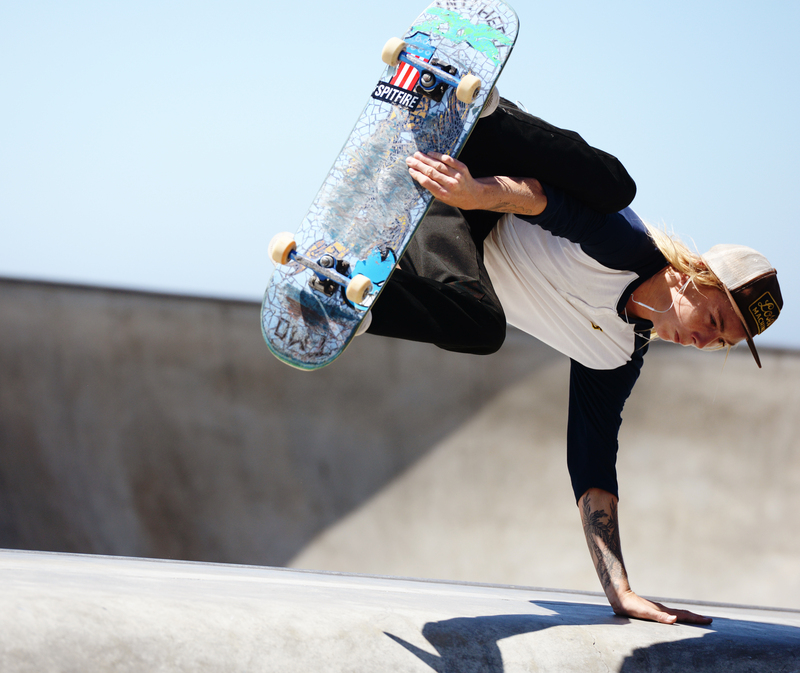 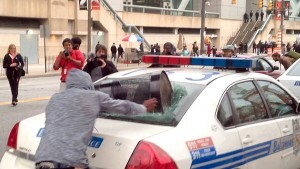 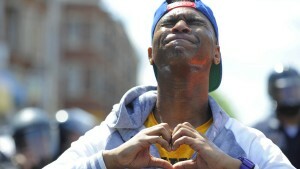 This skateboarder was the clear champion of the group, who attempted and landed some of the more complex tricks. 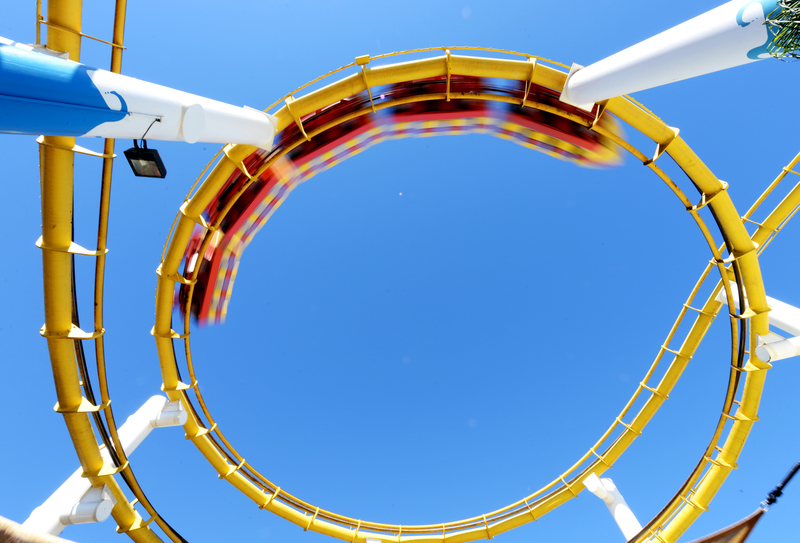 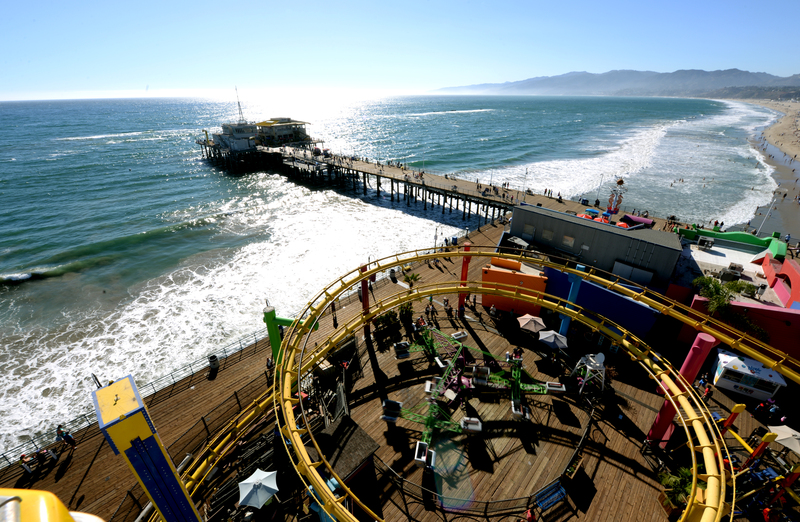 The underside of the roller coaster at the Santa Monica Pier. 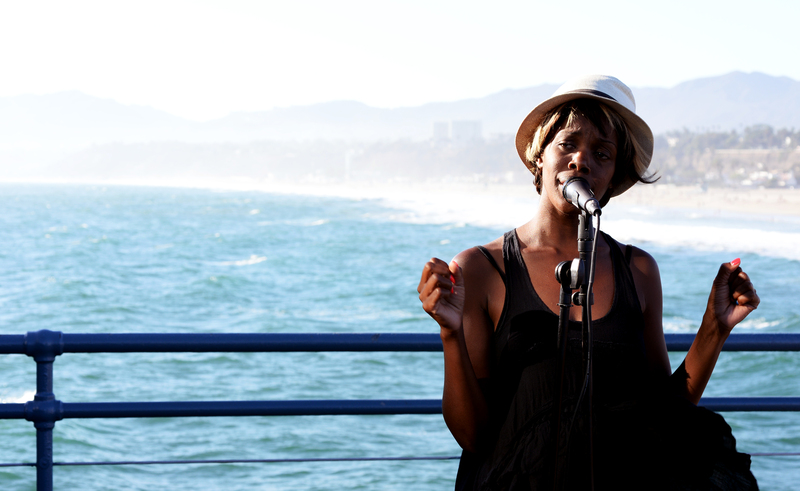 A singer performs on the Santa Monica Pier with the beach and ocean in the background. 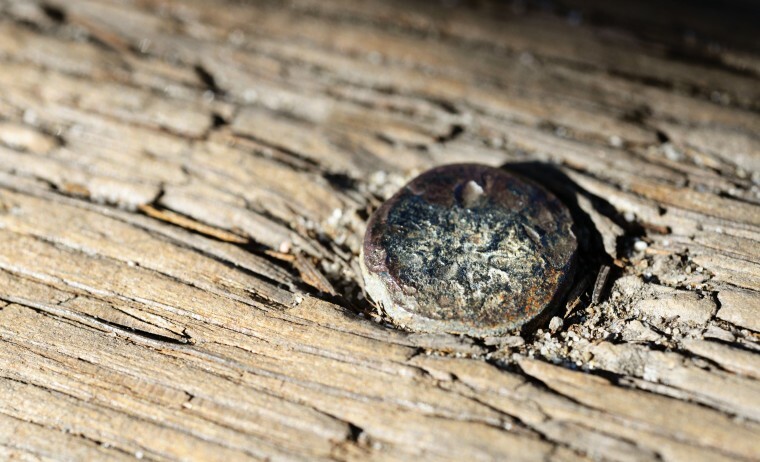 A close up of the boardwalk on the Santa Monica Pier. 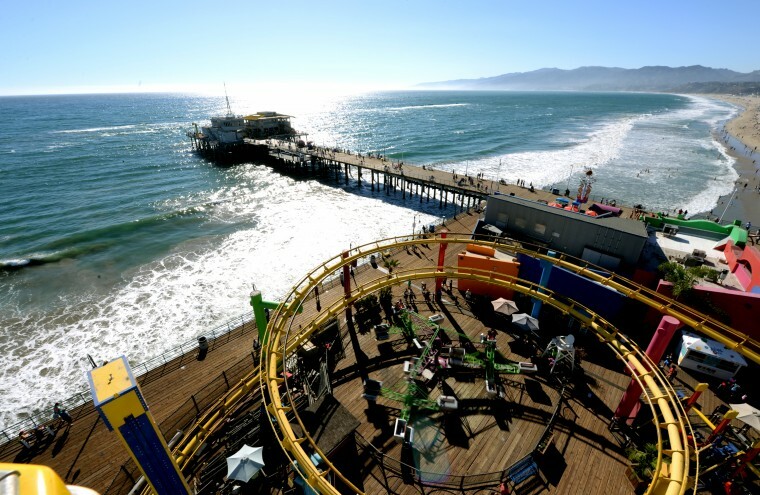 The pier and a small roller coaster can be see from the tip of the ferris wheel at the Santa Monica Pier. 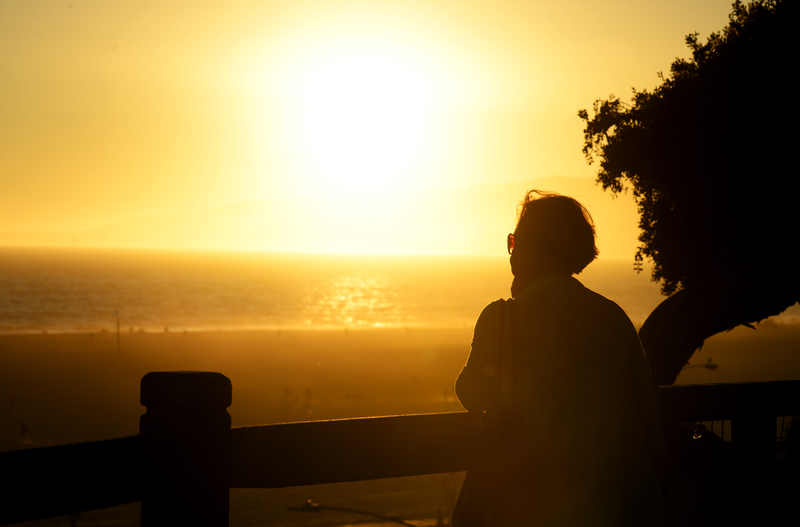 Driving up the Pacific Coast Highway is a long trip, but by far the most scenic and memorable I’ve ever experienced. There’s a winding and slightly treacherous road that takes one from the regular highway to Highway 1, also known as the Pacific Coast Highway. Large parts of it are lined with these cacti. 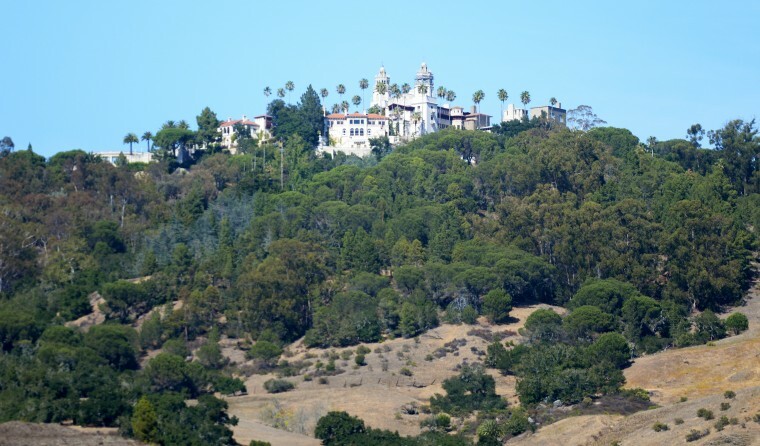 There weren’t many homes along the California coast, but there were plenty of ranches. 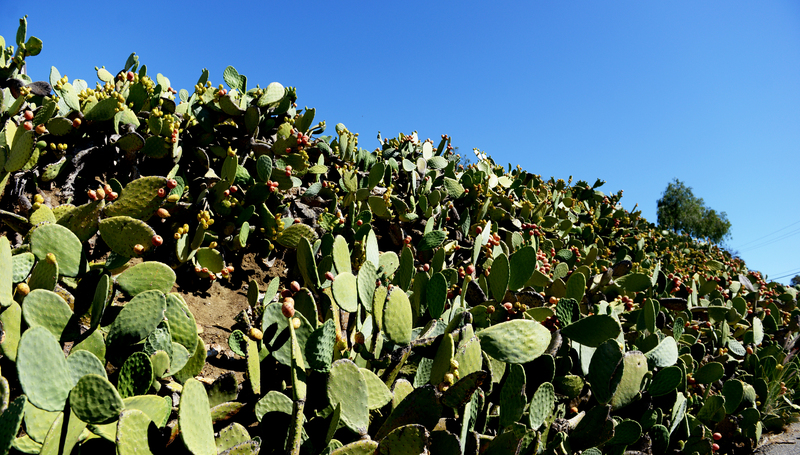 Nearing the coast highway, I saw these horses, which seemed to be standing on the edge of a cliff, staring out at the mountains. 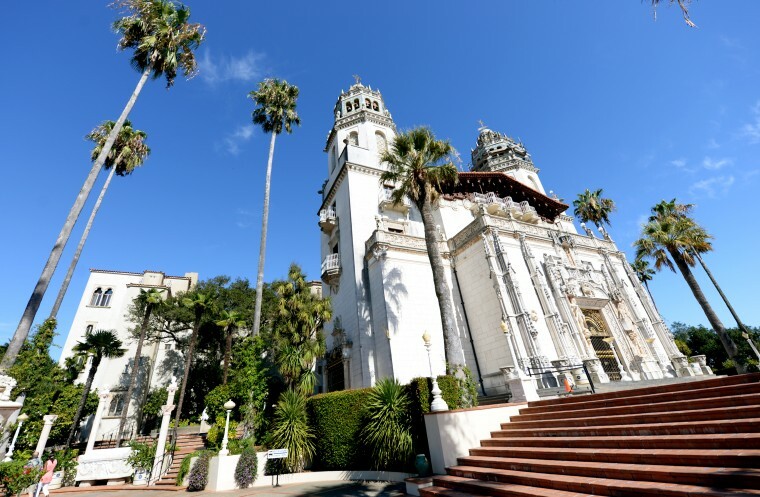 A tour bus takes you up a long road to the castle, which overlooks its seemingly countless surrounding acres all the way to the ocean. 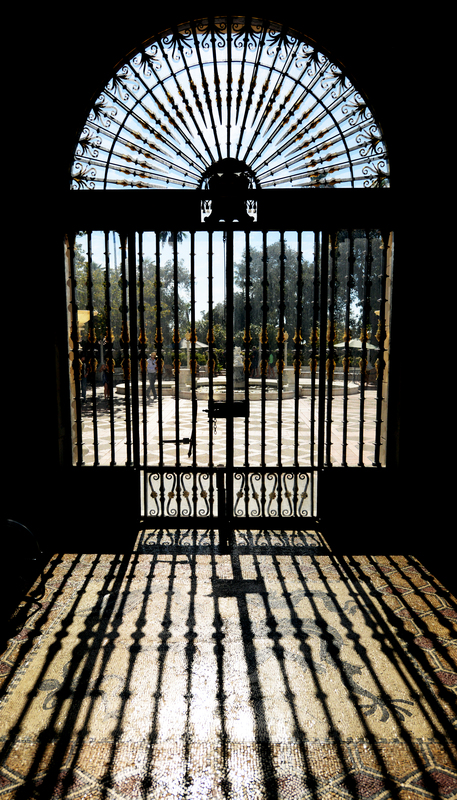 Taken from behind the iron gate of the Hearst Castle. 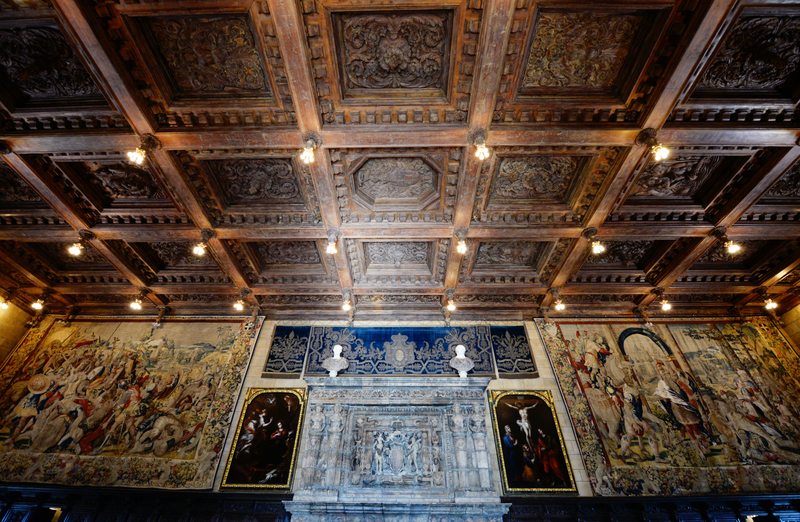 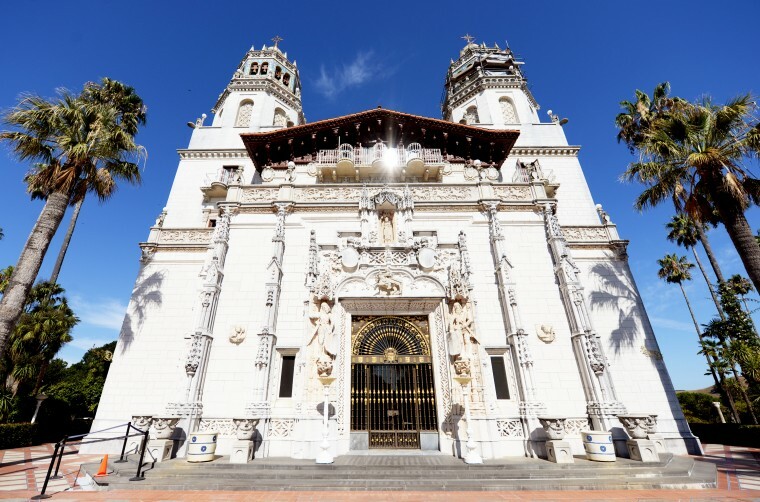 A large room in the Hearst Castle hosts elaborate ceiling designs and tapestries. 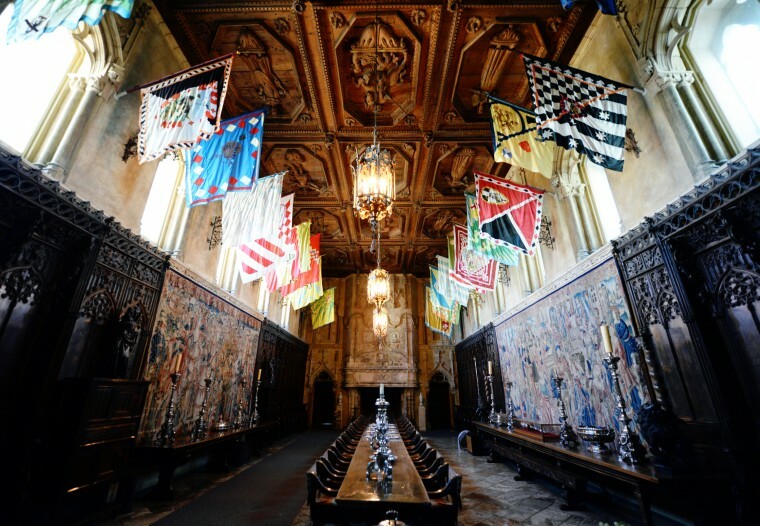 The dining room in the Hearst Castle is lined with flags and features a table dozens of feet long. 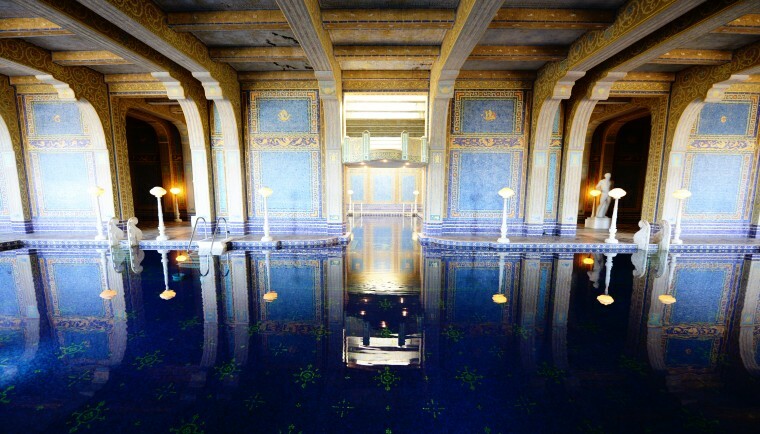 The Neptune Pool in the Hearst Castle is one of a kind. 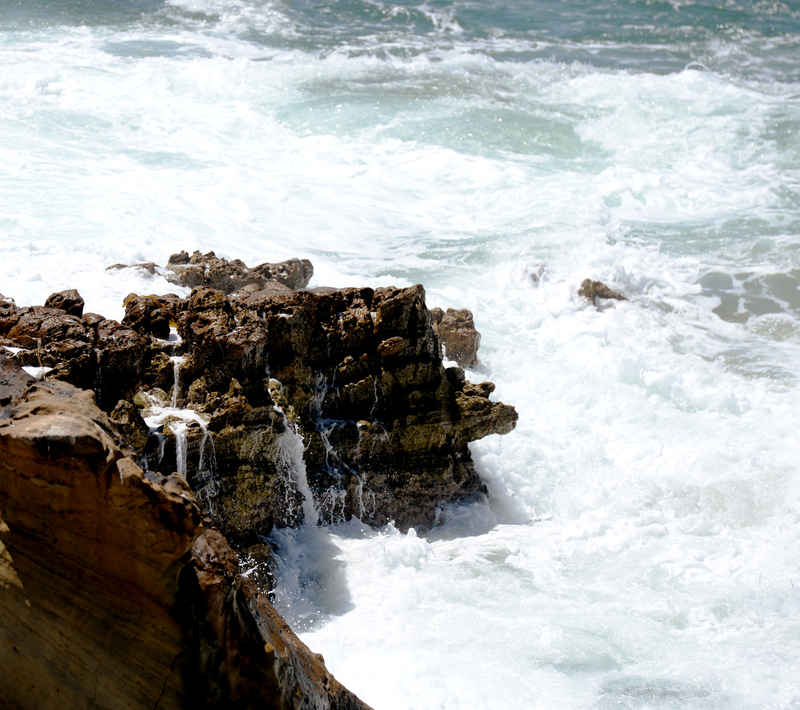 A wide shot of the ocean along the Pacific Coast Highway. 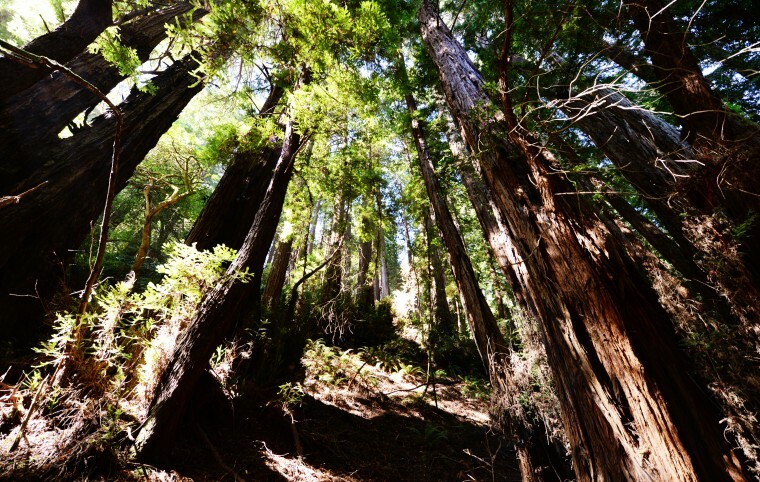 This area along the Pacific Coast Highway is known as Big Sur, and features some of the most beautiful scenery. 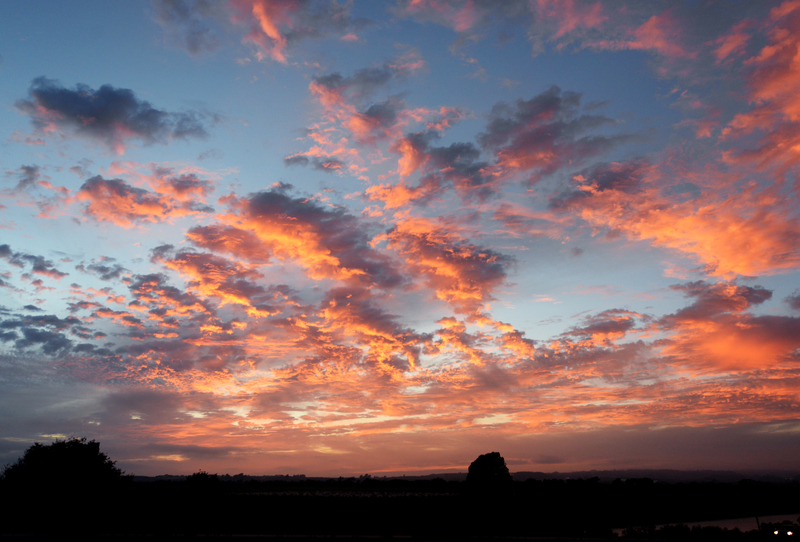 The sun set during the drive on Friday, Aug. 29, but the clouds soon after formed this painting-like sky. If you’re like me, you heard about redwood trees your whole life. But there’s a big difference between hearing about one and seeing one in the bark. This is from Muir Woods, just over the Golden Gate Bridge from San Francisco. 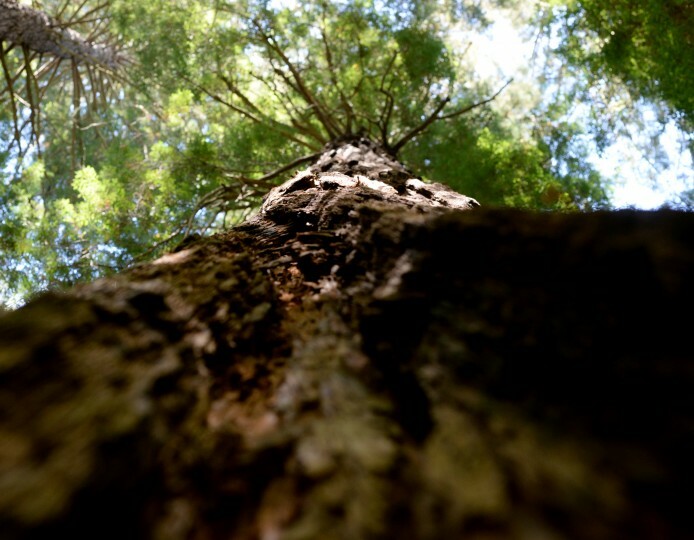 Looking straight up at a redwood tree. 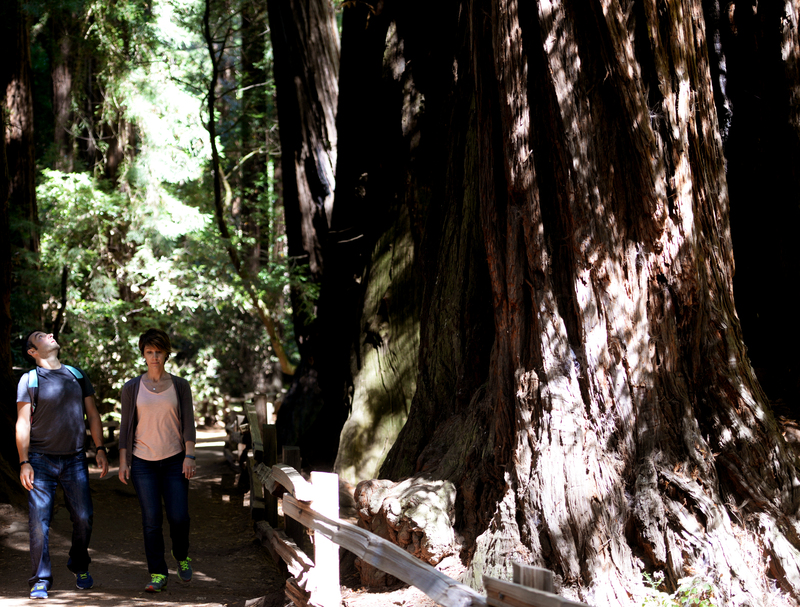 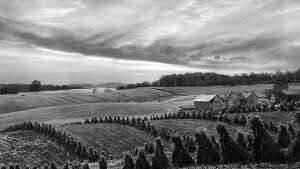 The best way, I found, to display the shear size of these trees was the juxtaposition of them next to people. 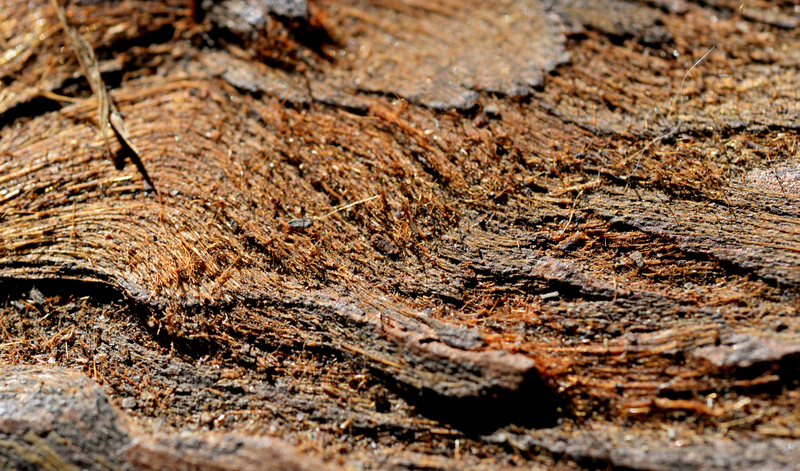 A close up detail of the redwood bark, which almost looks like hair. 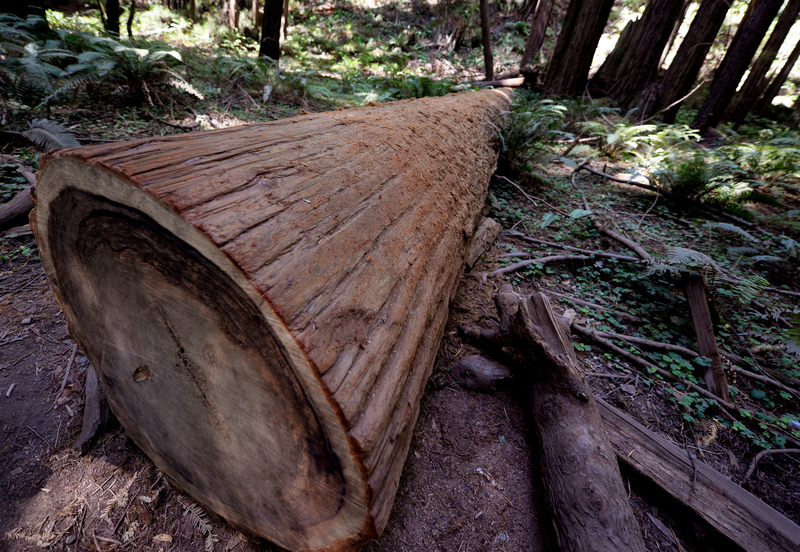 I overheard from a park ranger that this redwood tree fell on Dec. 21, 2012, the day the Mayan calendar ended. 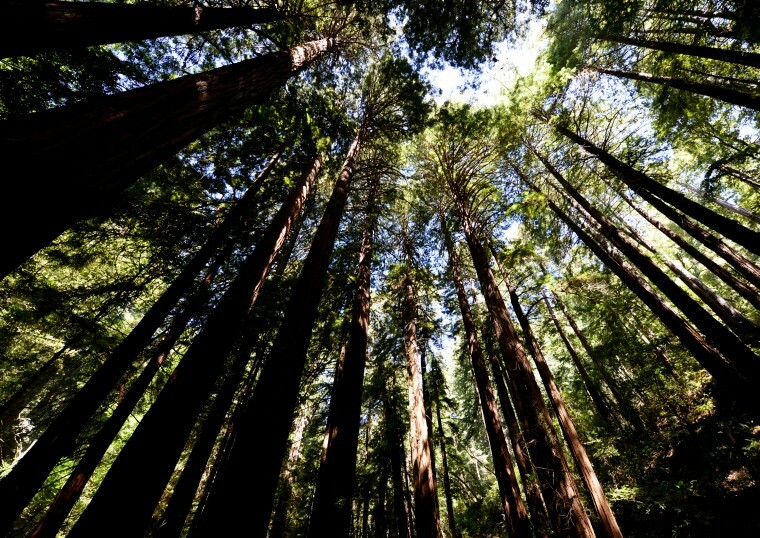 My neck began to hurt from looking up at and photographing the trees so much, but it was hard to not be in awe. 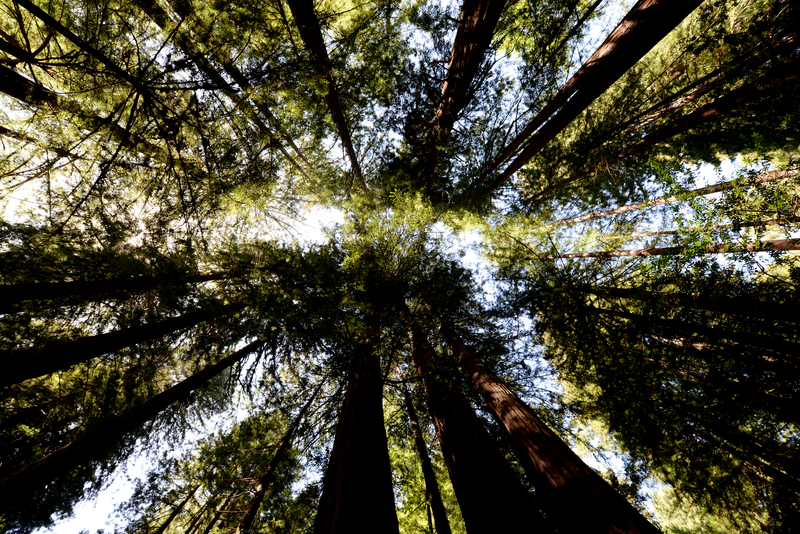 A circling of redwood trees. 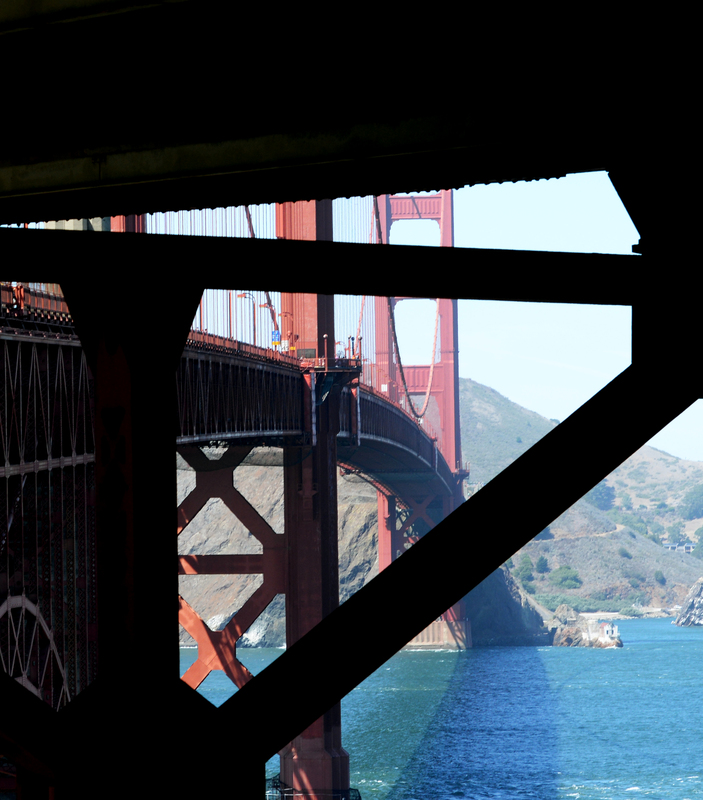 To photograph the Golden Gate Bridge, which is one of the most photographed bridges in the world, I strove to find a unique angle. 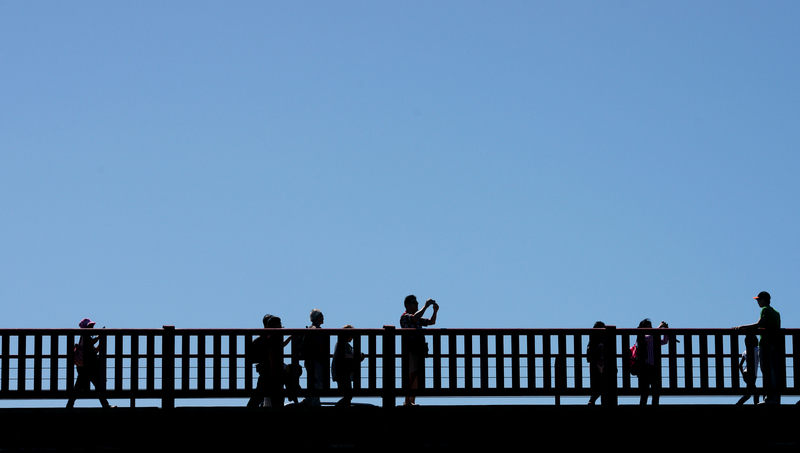 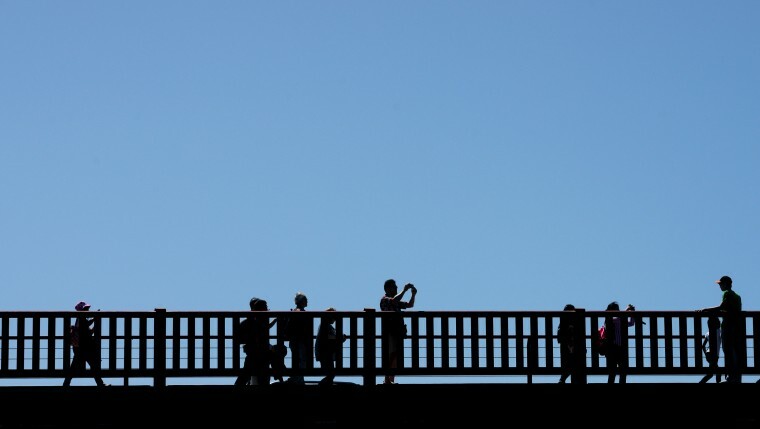 People photograph the Golden Gate Bridge on the San Francisco side. Chinatown in San Francisco was much more active than in Los Angeles, and the decorations were much more extravagant. 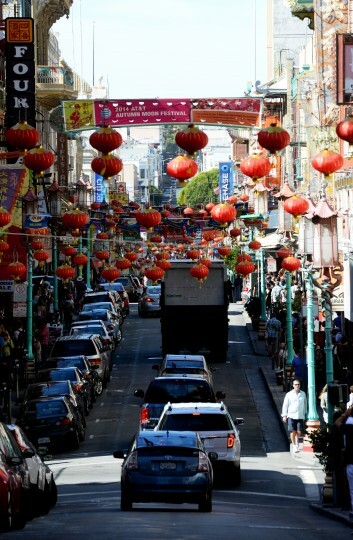 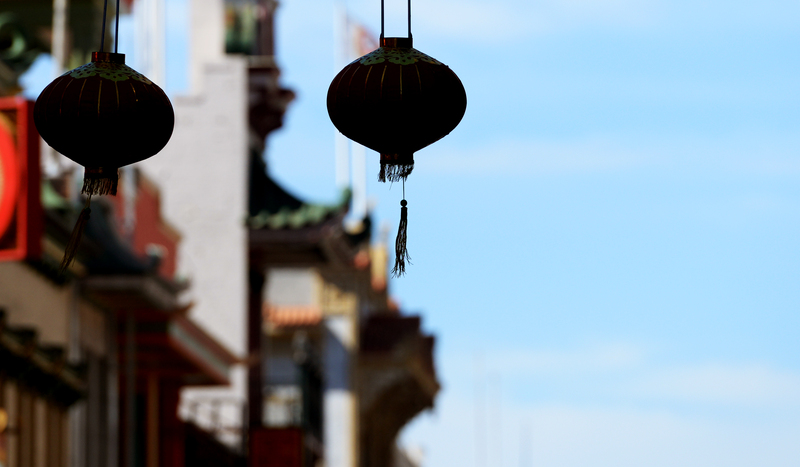 Dozens of Chinese lanterns hang over the streets in Chinatown in San Francisco. 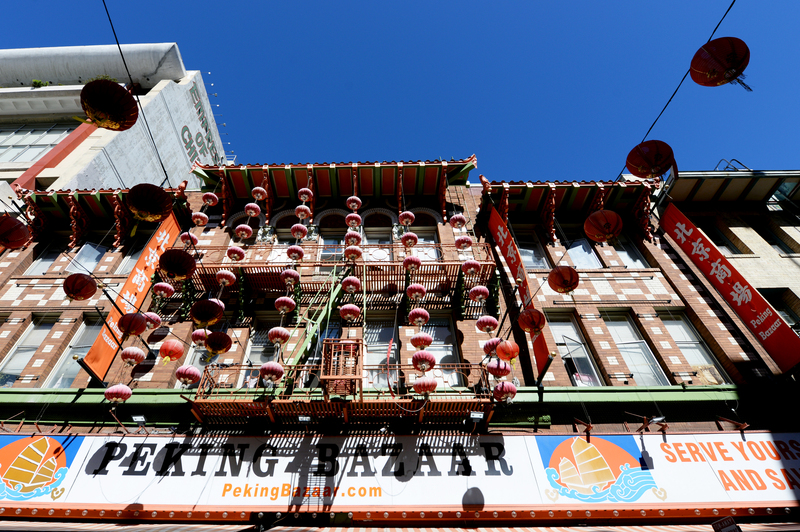 A Chinese lantern in Chinatown. 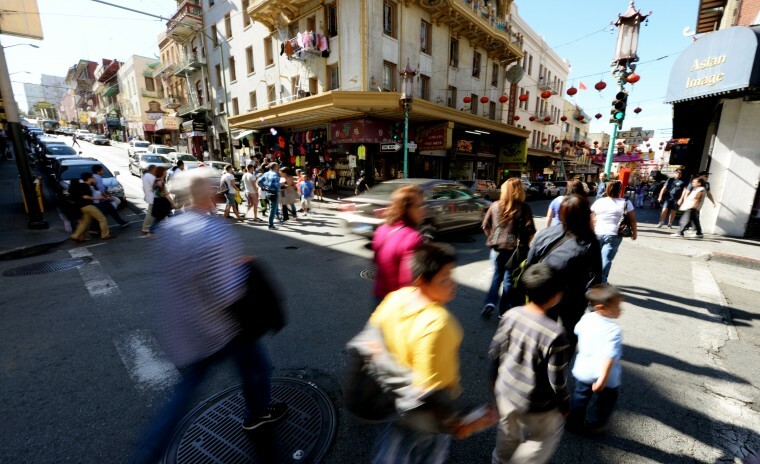 Hundreds of people walk through Chinatown in San Francisco.